In today’s day and age, there are many factors that make you unhealthy just as there is too many ways to stay fit and healthy. Before, you would only see boxers fight it out in the ring for the belt and glory. Now, it is a form of exercise. There are many benefits of cardio kickboxing even for those who are not into the sport to compete. It might be time for you to try it out now. Inspired by the combination of aerobic exercises, martial arts, and boxing; cardio kickboxing is a total body work out that would make you healthy and happy. Kickboxing is a total body work out that allows you to move your muscle groups constantly, it accounts for well-distributed muscle tone. Moreover, as your body adjusts to the demands of this exercise, you would notice that you have better endurance. As compared to other forms of exercise, cardio kickboxing does not only bulk you up. You get the perfect muscle tone especially in your legs, arms, abdomen, and back. You can stay fit while engaging in a fun exercise. Any physical activity is a good way to lose weight but remember healthy weight loss is a lot different. Together with proper diet, kickboxing would allow you to burn at least 400-500 calories with an hour of working out. Your weight loss may be gradual but it is healthier because your entire body adjusts. You don’t feel weak and fatigued. It is important that you find out your ideal weight for height so you can work on maintaining it. When you exercise, you would have a regulated blood pressure. Your heart rate become faster and your heart pumps more blood to circulate in your entire body. 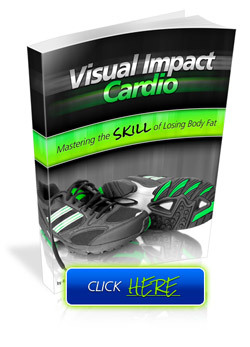 This would adjust your body’s physiological state by making it function at a healthier state. As a result of continuous exercise, your body would release endorphins that would elevate your mood and reduce stress levels. Additionally, it is a good outlet for you to release your pent up emotions. When you are angry, you can just kick or box it out on a boxing pad. In this crazy world, learning a thing or two about self-defense is definitely advantageous. When you are out there, you can protect yourself from those who would want to take advantage of you. This is especially true if you are a woman. This exercise would also teach you how you can calm yourself when facing a difficult situation, which will make you think faster and clearer. You can empower yourself and gain inner strength. Besides, with a perfectly toned body, no one would dare to mess with you. Cardio kickboxing with the hook punches and quick jabs, kick actions, and aerobic movements would give your back and core muscles a good training. When you engage in this type of core training, you would have better coordination, balance, reflex, and flexibility. You would not even notice that you are using your core muscles as you exercise, but you should not forget to add your abdominal and back muscles. You could do side bends and crunches. Do your cardio kickboxing with a good music to pump you up. Never forget to do warm ups, learn the basics of throwing a punch, and know the proper way of kicking. It is recommended that you use kick pads or punching bags because they are better when it is compared to air kickboxing because this would help tighten your muscles more. Do at least 15 minutes of good stretching and warm up exercises to lessen muscle pains and aches. Do alternate hook punches and quick jabs to let the sweat it out. When it comes to your kicks, the basics should include front, side, and roundhouse. Stay healthy and fit the proper way. Cardio kickboxing is the one that you can do in your own living room. You can try it out first with a sparring partner or with a trainer to see if it is the right one for you. A good 16-week training would help you achieve the benefits of cardio kickboxing. Sweat it out and you are on your way to a healthier you in no time.